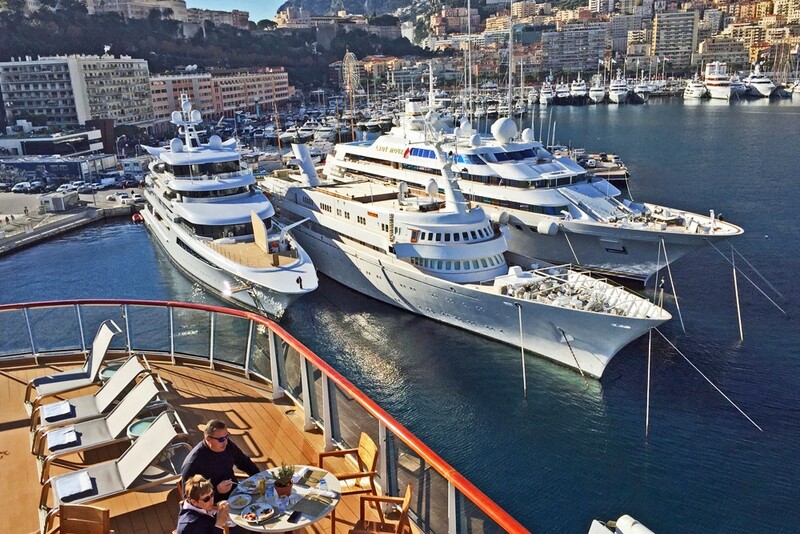 Lunch aboard Viking Star in the port of Monte Carlo. It was December, and temps were in the 50s. 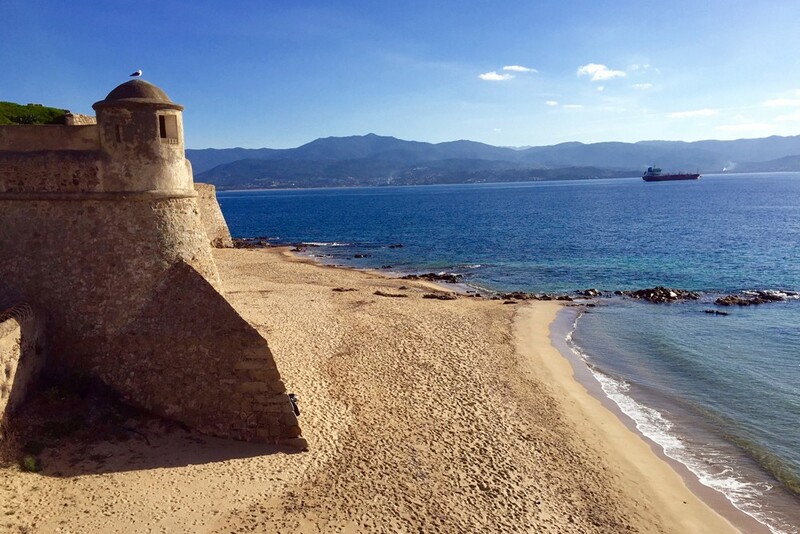 In Corsica, an empty beach—one of the rewards of low season. Viking ships tend to stay in port till after dark. 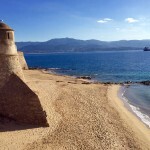 This is Ajaccio, Corsica. 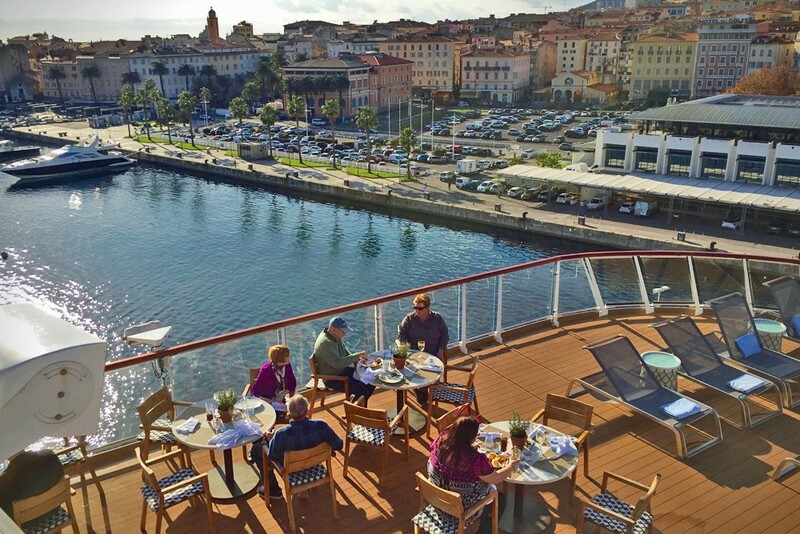 Lunch al fresco again—in December, in Ajaccio. 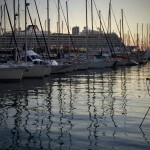 Here we are in Toulon, France, just past sunset. 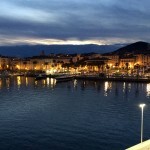 A curfew of 10 pm means you can arrange a very full day of sightseeing in southern France. 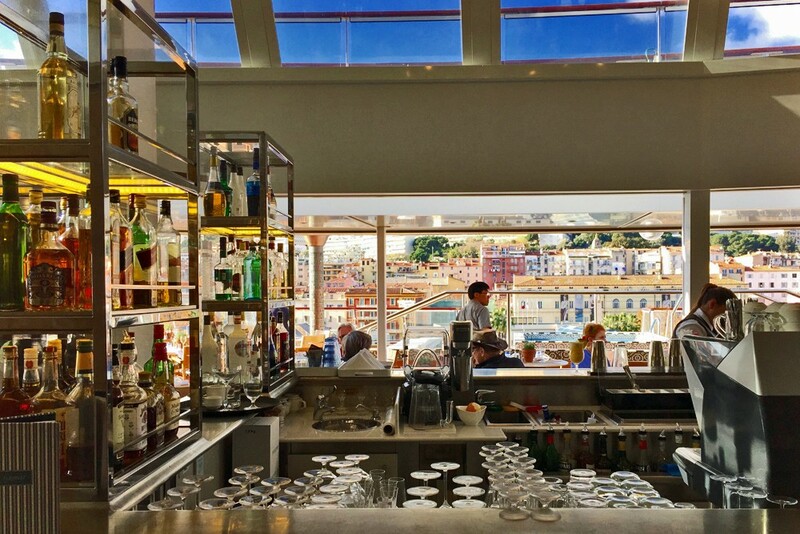 Most parts of the ship let the outdoors in—even the buffet restaurant. Almost everywhere on the ship there’s a view. 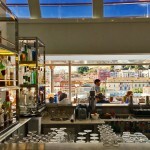 This is the bar in the buffet restaurant. 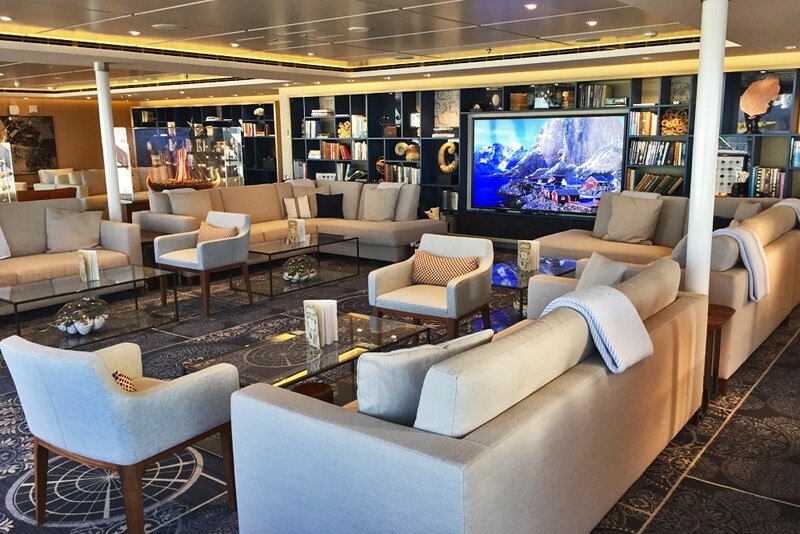 Viking Star has a ton of nooks with books and, sometimes, screens displaying ever-changing travel photos from around the world. 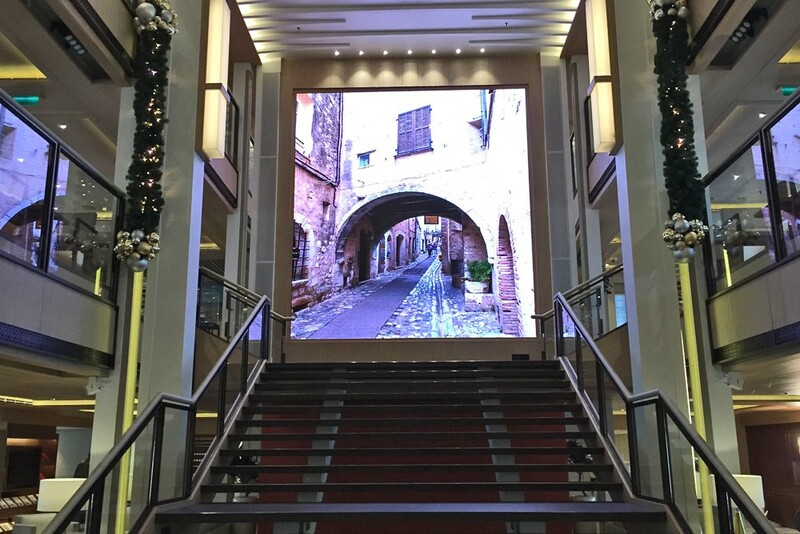 The biggest screen with a scene is in the atrium. Even the bars are comfy. 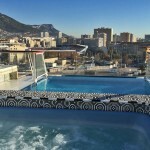 Probably the only rooftop infinity pool in Toulon. 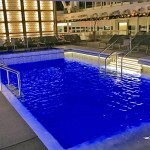 The main pool can be enclosed or open-air, depending on the weather. Here’s the same pool, at night. 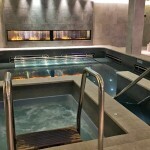 And here’s the thermal pool, in the spa. 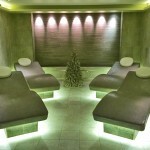 There’s no fee to use the spa. 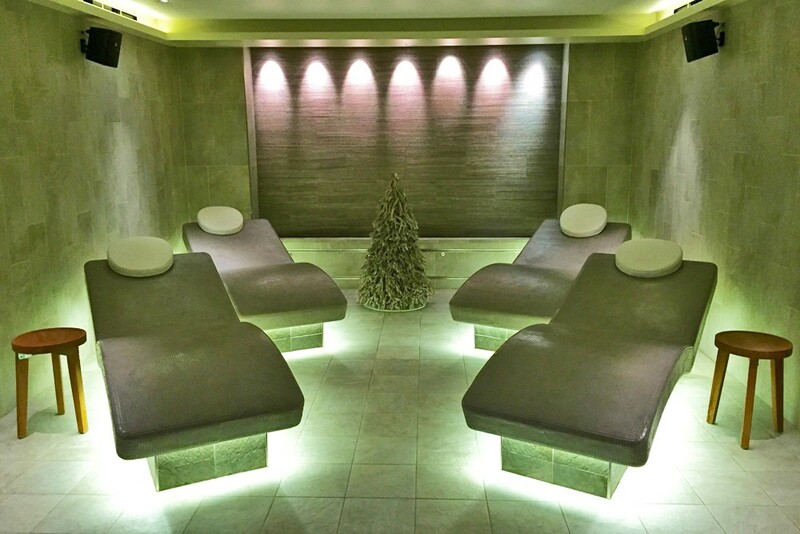 These heated loungers are available to everyone. 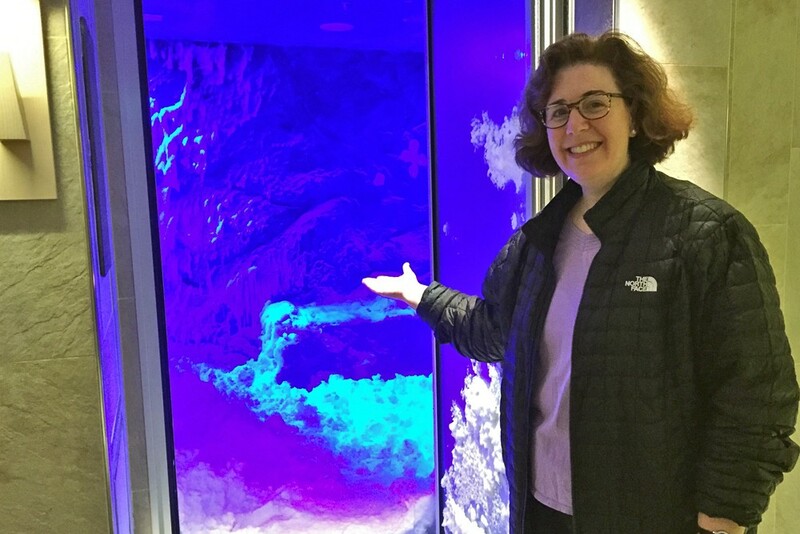 The spa’s snow room is available to everyone too. 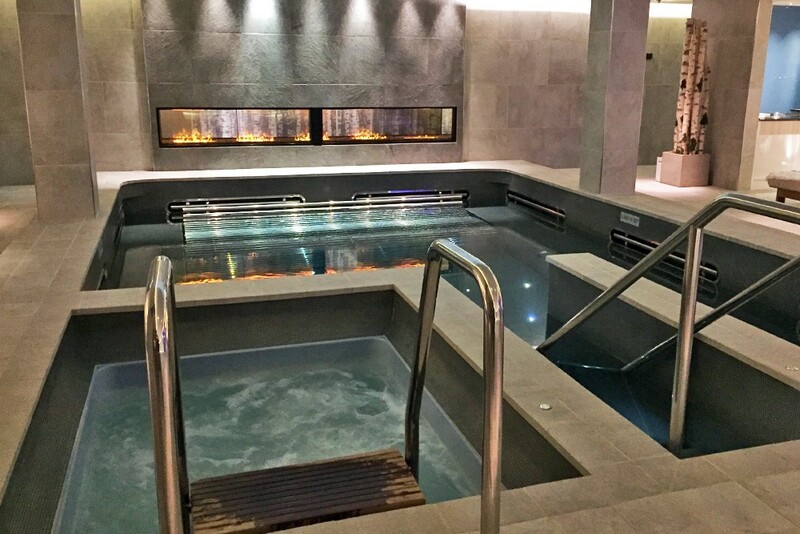 In case you feel like jumping from hot tub to snow and back again. This was my cabin—simple and comfy. 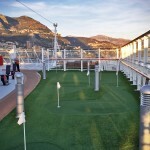 The ship’s putting green—which I never saw used, despite shirt-sleeve weather. 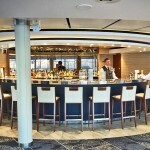 The atmosphere onboard is one of cultural enrichment with a Scandinavian flavor. 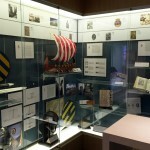 Here’s the Viking Heritage Museum. Homey touches include these wool hats for sale. 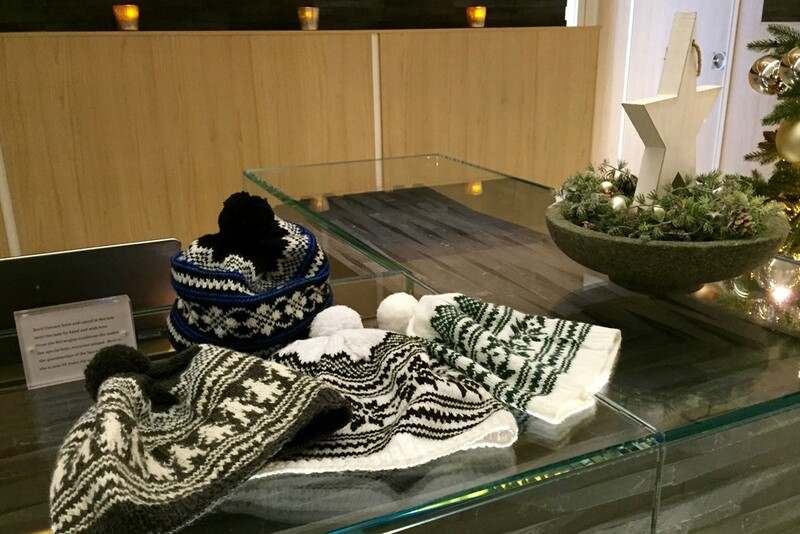 They’re knitted by Berit Clausen, the spa manager’s 95-year-old grandmother back in Norway. 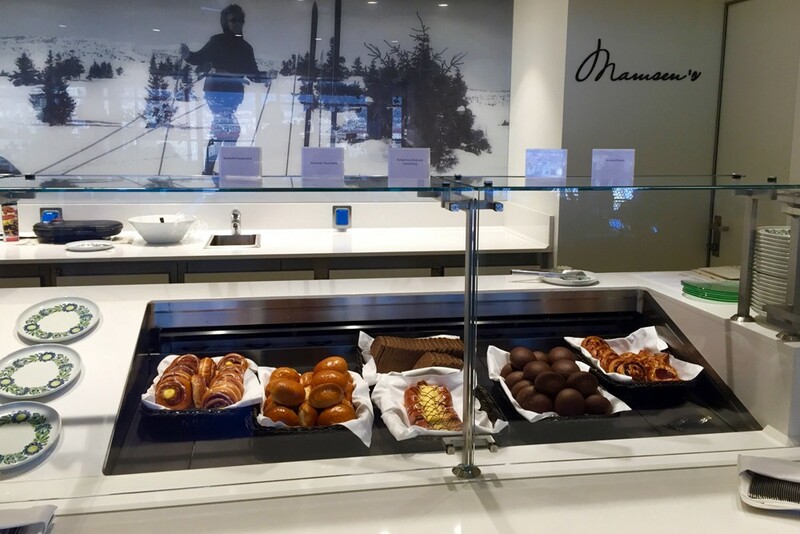 My favorite place to eat on the ship is Mamsen’s, the Norwegian deli in the Explorers’ Lounge. 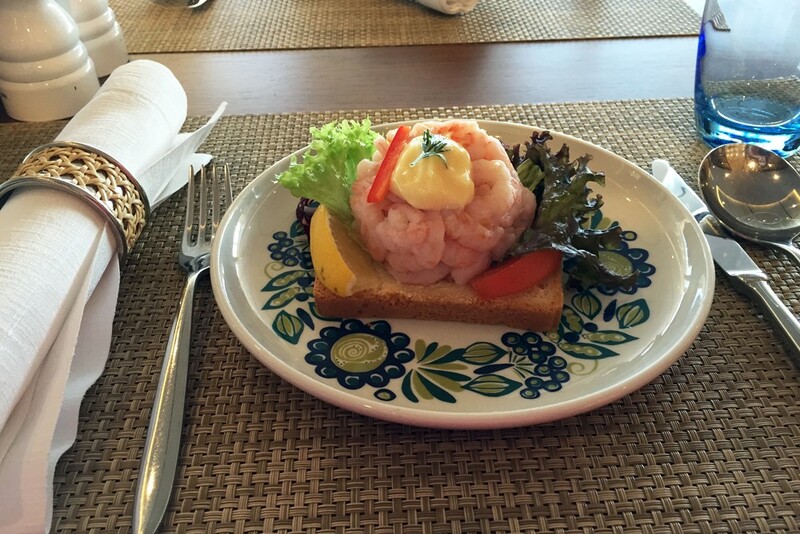 It’s named after the mother of Viking president Torstein Hagen and supposedly serves her traditional recipes. 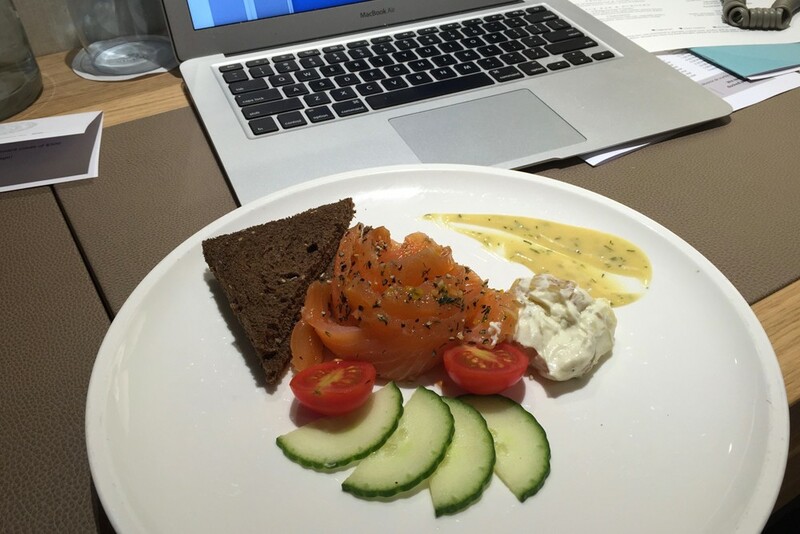 Among the delicacies on offer (for free) in the Explorers’ Lounge, as well as in The Living Room, are salmon gravlax and steak tartare. 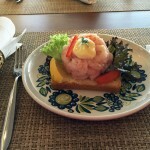 Reke (Atlantic shrimp on white bread) for lunch. 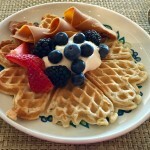 At Mamsen’s they make these special waffles with berries and sour cream. Room service is free too. 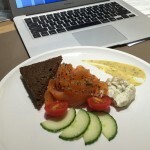 And the salmon gravlax melts in your mouth. 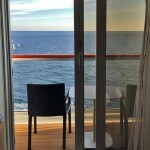 If you’re an avid independent traveler, as I am, seeing the world by ship has its pros and cons. 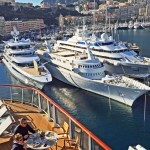 A cruise is an easy way to see remote places that would otherwise be too expensive and logistically tricky to get to. 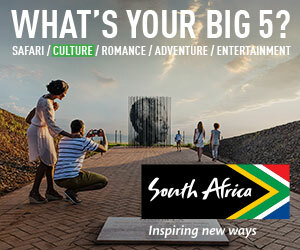 But there’s a trade-off: Your limited time on land at each stop hampers your freedom. 1. You can avoid the tourist hordes. In my case, I got to explore Europe minus the crowds of peak season. 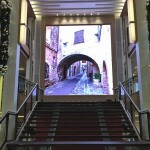 It was an unconventional wintertime Romantic Mediterranean itinerary that the new Viking Sea will sail next winter. 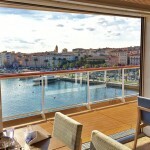 The Barcelona-Rome route includes Toulon (on the French Riviera), Monte Carlo (Monaco), Ajaccio (Corsica), and Livorno (Italy). There are two traditional drawbacks to Europe in low season, of course: Chilly weather and not enough daylight hours. Normally in low season it’s smart to stick with Europe’s large cultural capitals, since they have a lot to offer even when it’s cold and dark outside. 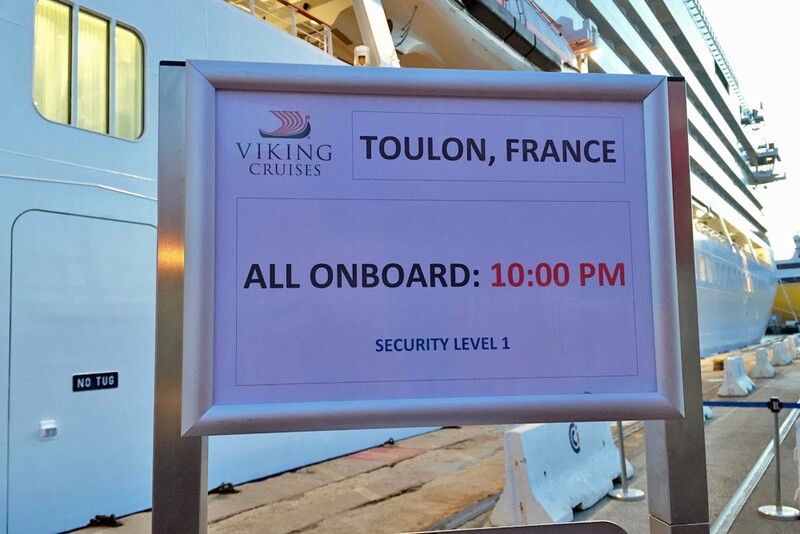 But the Viking Star keeps you warm and cheery in cold weather (see #5 below). The ship can’t rectify the second drawback: the sun setting at 5 pm. Darkness falling early, combined with the fact that the ship was docked in one port or another all day every day, meant that I almost never got to see the ship moving through water in daylight (normally one of my favorite things about a cruise). What made up for that, though, was the absence of other cruise ships in port, making it so easy to escape other tourists on shore (something that is not easily done on, say, a Caribbean cruise). 2. The ship isn’t too big or crowded. 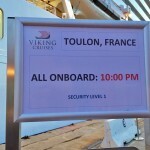 It holds 930 passengers, but it feels more like a 500-passenger ship. 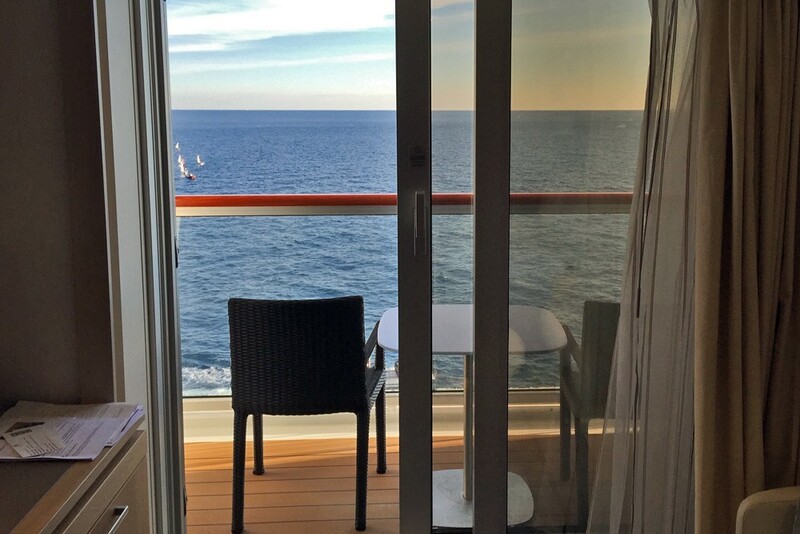 It’s blissfully uncrowded, perhaps because people disappear into the dozens of nooks and hiding spots around the ship, and also because every cabin has a balcony. At no point did I encounter or spot any lines or wait for a deck chair or an empty table. There are many public spaces where you’ll find a comfy armchair, a great book, and nobody around. 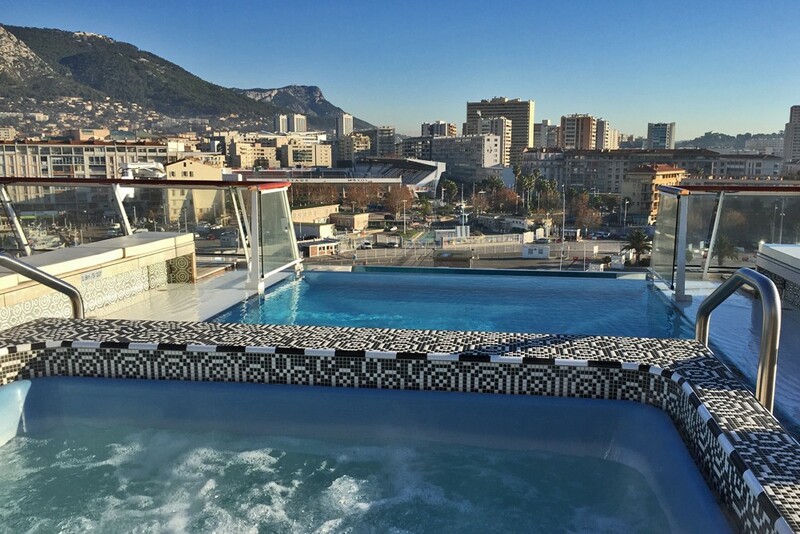 The ship has three pools—an outdoor infinity pool at the stern, a heated pool in the spa, and a main pool that can be either enclosed or open-air, depending on the weather—and none of them ever had more than two people in them. 3. You spend a ton of time on land. 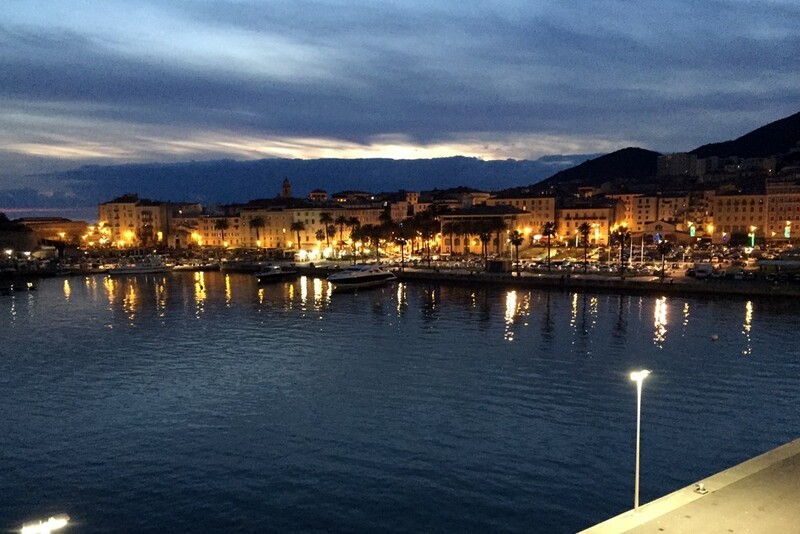 On the “Romantic Mediterranean” itinerary, we sailed only at night. The ship was docked in port all day long, every day. 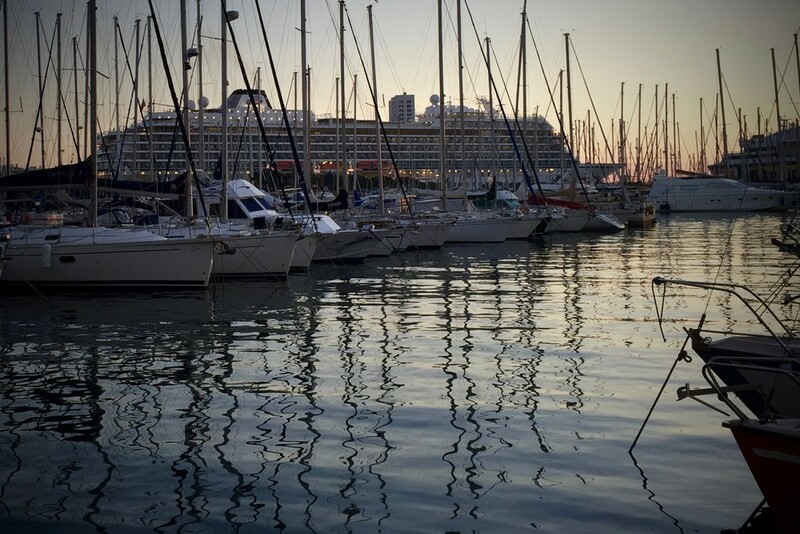 You can sightsee till 8 or 10 pm, and the ship overnights in Barcelona on the first night and in Rome on the last night, so on those nights there’s no curfew at all. I ended the trip wishing we’d had a day at sea so I could have spent more time enjoying the ship itself—watching the waves pass by, soaking in the spa’s thermal pools, sampling more Scandinavian delicacies, and curling up on one of the many plush sofas with one of the many classic novels from one of the many intriguing bookshelves. 4. You don’t feel confined. First, you’re almost always able to get off the ship and into town. Second, every chance they get (when the weather is warm enough), the crew throws open the floor-to-ceiling doors and windows to let the outdoors in. 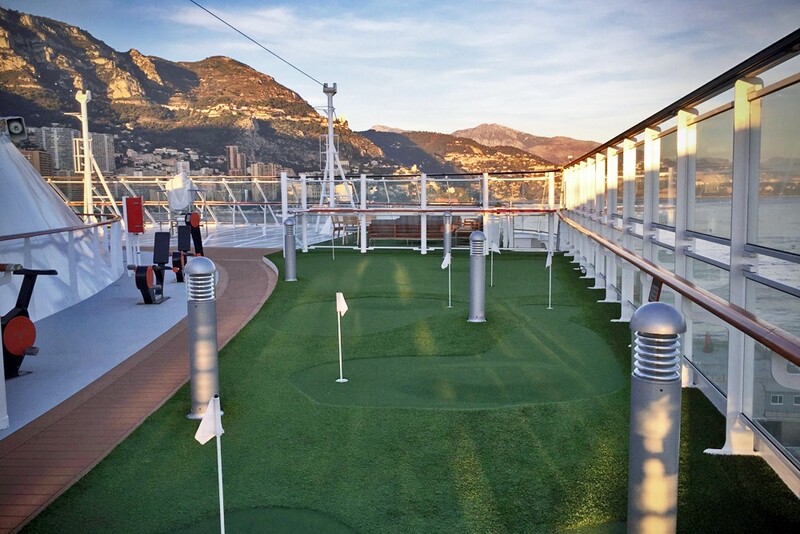 There are great views from almost every public space on the ship. 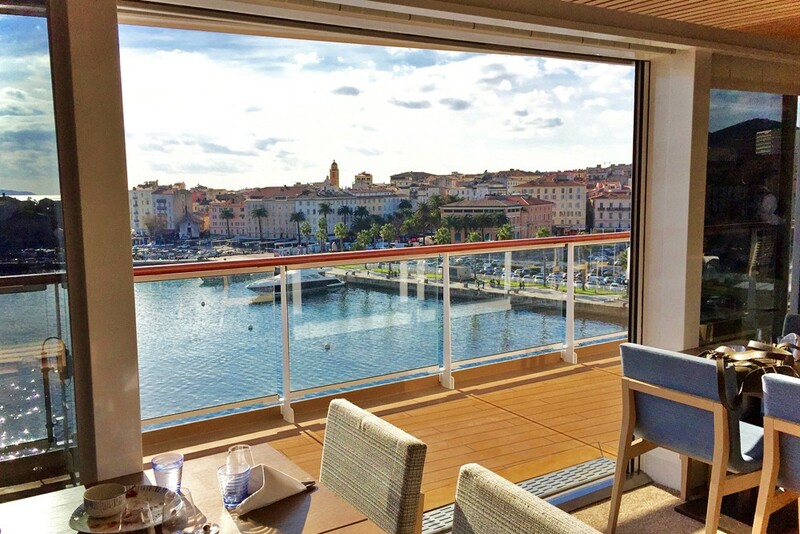 Even the buffet transforms into an open-air restaurant—and it has an open kitchen, so you can actually look through the kitchen to the ocean on the other side of the ship. 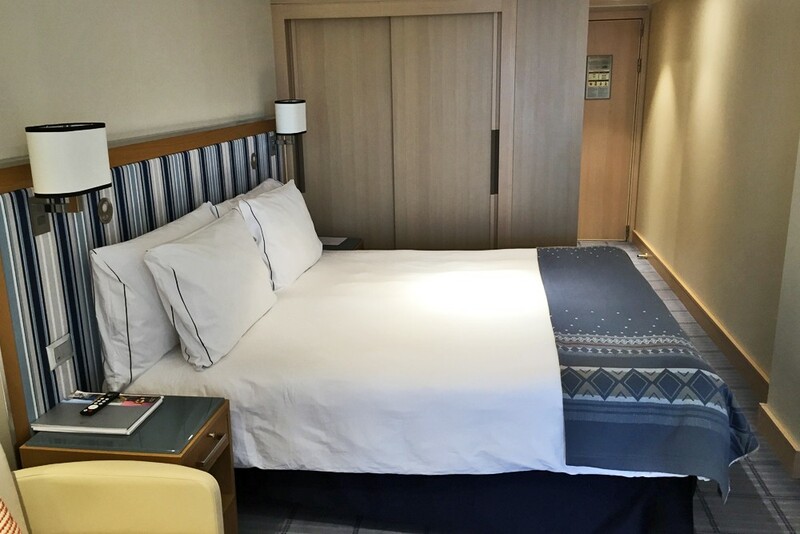 Every room has a veranda with a floor-to-ceiling view, and there’s a promenade deck that wraps around the entirety of the ship (something that’s increasingly rare nowadays). Windows onto the promenade deck open as well. 5. 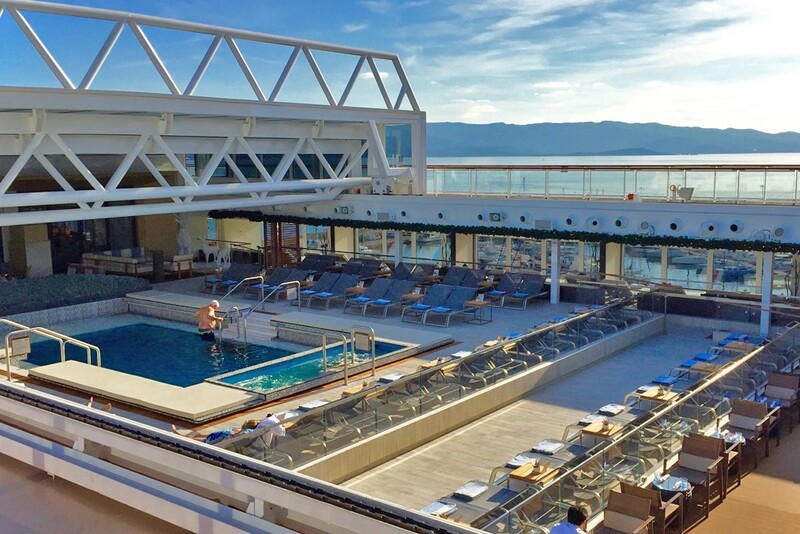 Itineraries can be unconventional because the ship is weather-proof. I’ve never been on a comfier ship for cold-weather cruising. 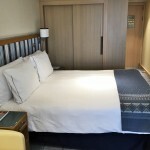 In addition to two indoor pools, Viking Star’s got two indoor hot tubs, a Nordic-style spa with saunas and steam rooms, an abundance of armchairs adorned with blankets and throws, and warm Scandinavian décor throughout. 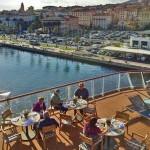 This means the ship can ply cool itineraries such as from Norway to Montreal, with stops in the Shetland Islands, the Faroe Islands, Iceland, Greenland, and Quebec. 6. There’s no regimented schedule. Unlike on some larger ships, there’s nobody telling you when to do what. There are no announcements. There are no formal nights. You don’t have to report to a particular lounge or theater at a particular time in order to join a tour. Nope, if you want to join the free group tour in each port, you just get off the ship and meet your group on the pier. In fact, the only time I saw herding during the cruise was off the ship, on those free tours. Because they’re free, almost all the passengers take them, which means you could be part of a caravan of buses all pulling into the same tourist sites at the same time. Remember: Just because it’s free, you don’t have to do it. It’s very easy to do your own thing in port. Just grab a taxi, hop on public transit, rent a car, or start walking. 7. The Wi-Fi is free, fast, and reliable. The Wi-Fi alone gives you freedom and flexibility because it costs you nothing to hop on the Internet and do a little research before arriving in each port to find out what’s happening on the day you’ll be there. 8. 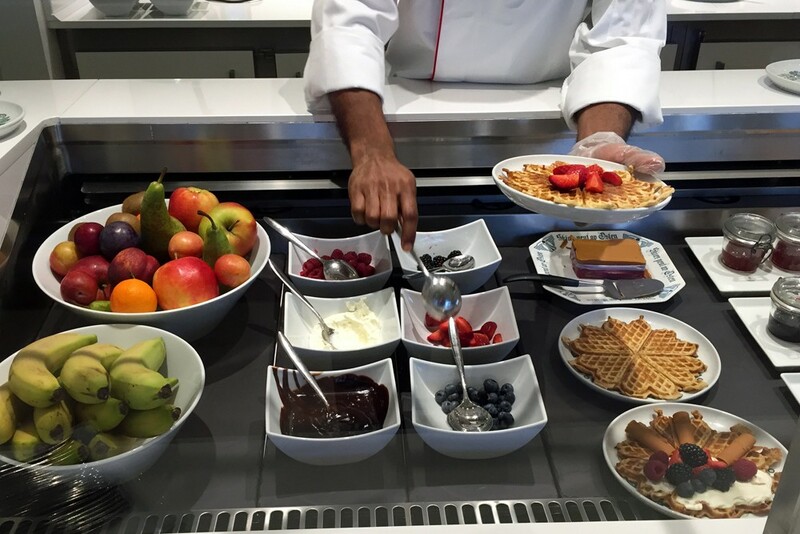 It’s easy to dine privately and on your own schedule. 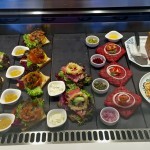 There are four restaurants where you can have long, elaborate meals, but if you’re like me and you just want quick, easy options anytime, anywhere, the choices are excellent. 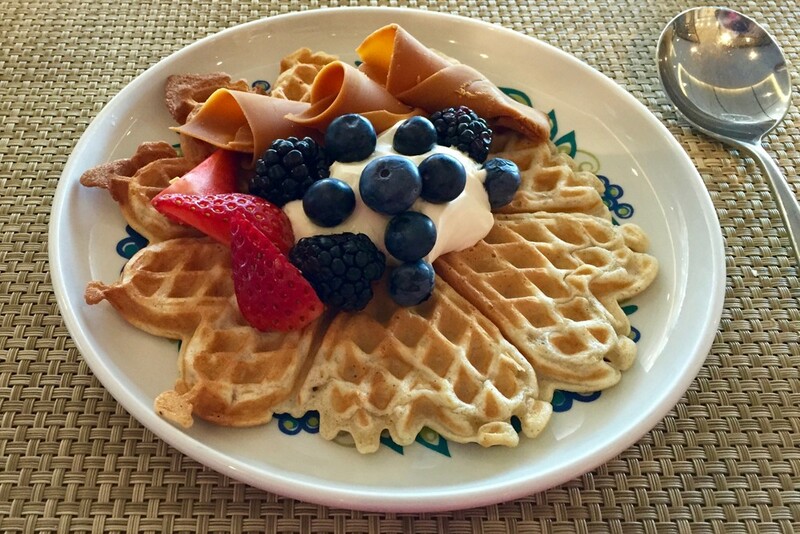 You can order room service for free, 24 hours a day, and it’s delicious and arrives fast. 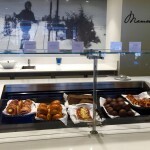 You can also grab hefty, free gourmet snacks of melt-in-your-mouth salmon gravlax, Atlantic shrimp, and steak tartare (with all the trimmings), both at the ship’s Norwegian deli and at its Living Room bar. 9. The ambience is more boutique hotel than cruise ship. 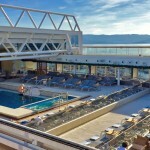 The ship was designed by an architect who does not normally design cruise ships. 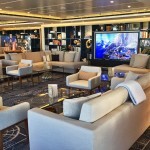 Not only are the interior design and décor atypical, but very little of what you see onboard feels corporate or mass-produced. 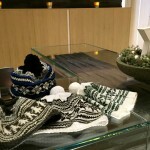 The ship feels like an independent, family-owned, Scandinavian hotel, with homey and personal touches—such as wool hats, for sale in the spa shop, that were knitted by the spa manager’s 95-year-old grandmother. 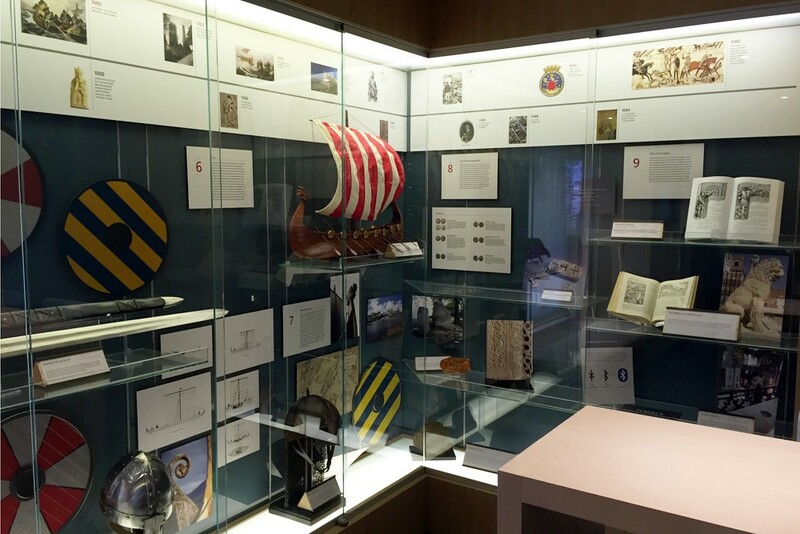 The atmosphere is one of cultural enrichment, from the collections of classic books to the Viking Heritage museum to the selection of TED talks on your in-room television. 10. You can relax mentally because it’s so affordable. Your cruise fare includes a lot. 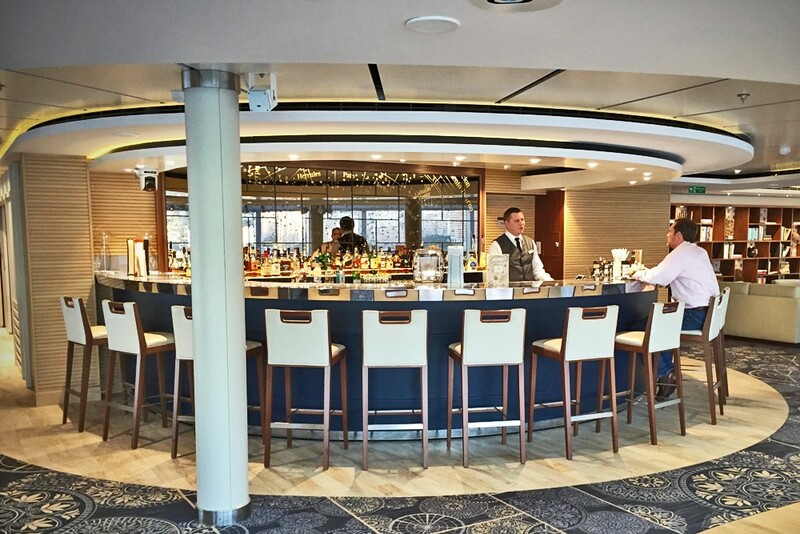 In addition to the Wi-Fi and the tour in each port, you get entry to the spa’s thermal pools, saunas, and steam rooms; beverages, beer, and wine served with meals; minibar items; cappuccinos at the bar; and the aforementioned gourmet snacks served around the ship. 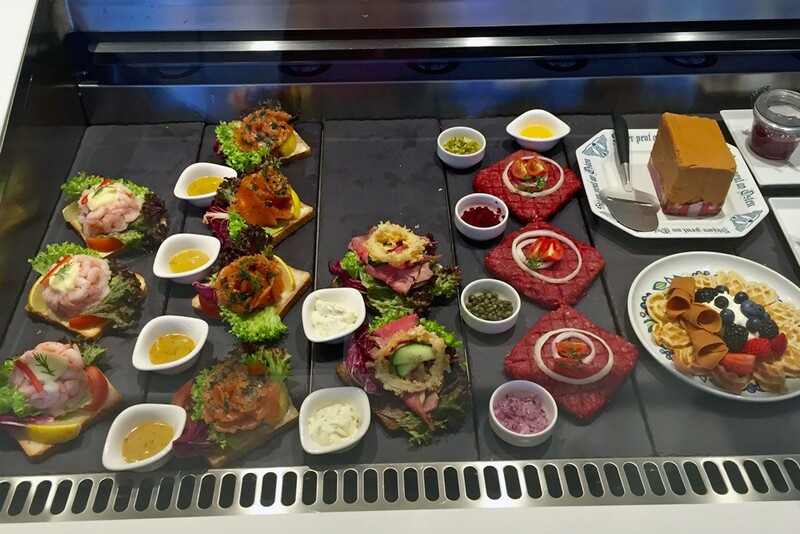 There were salmon gravlax (on rye bread with dill mustard sauce), Reke (Atlantic shrimp on white bread), steak tartare (with the trimmings), and assorted Norwegian pastries, including special waffles with berries and sour cream. When you consider the sky-high prices you’d pay for those things in Scandinavia, the value is striking. 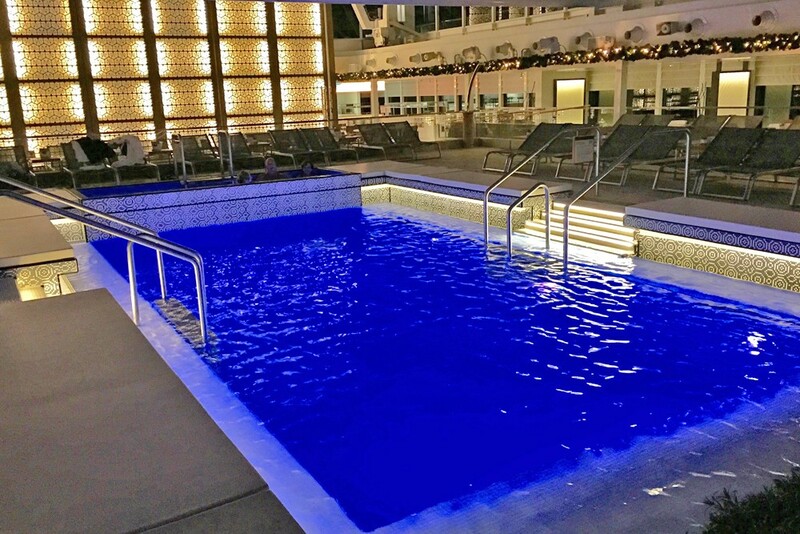 There’s no nickel-and-diming; in fact, it’s hard to spend money on the ship. There isn’t even a casino. My only shipboard expense was a 50-minute Swedish massage which, thanks to massage therapist Luisa who is literally from Sweden, was the best I’ve had on any ship. If you’ve got questions about the ship, feel free to ask in the comments below. You sold me at no casino! 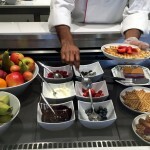 Your review of the Viking Star made me ‘homesick’ and wanting to return for another cruise. 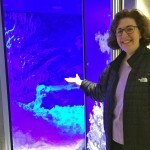 I was aboard the Star for two weeks in February (Barcelona to Barcelona) and remember all of the ports and features reported here. My first cruise by the way, and now I am spoiled! do you know what there policy is for solo travelers? Do they double their fees for solos? Is the price higher if you travel by yourself??? Your review makes me want to give this a try. 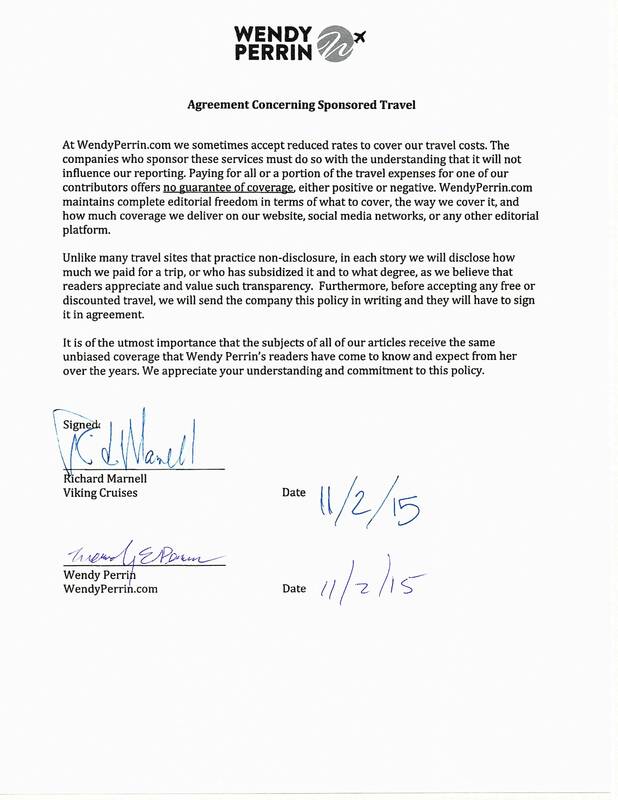 We’ve given up on Viking River cruises where all we feel is nickel and dimed. P Trucks Can you elaborate on feeling nickeled and dimed on the River Cruises? We just came off one and don’t feel that way. Are you talking about the tipping? We prepared for that.